1. Please detail all your meetings with Russian officials during the presidential campaign and transition. 2. Did you mislead the Senate during your confirmation? 3. Why did you recuse yourself from the Russia investigation? 4. What are the terms of your recusal and have you been complying with them? 6. Have you been contacted by Mueller? Are you cooperating? 7. 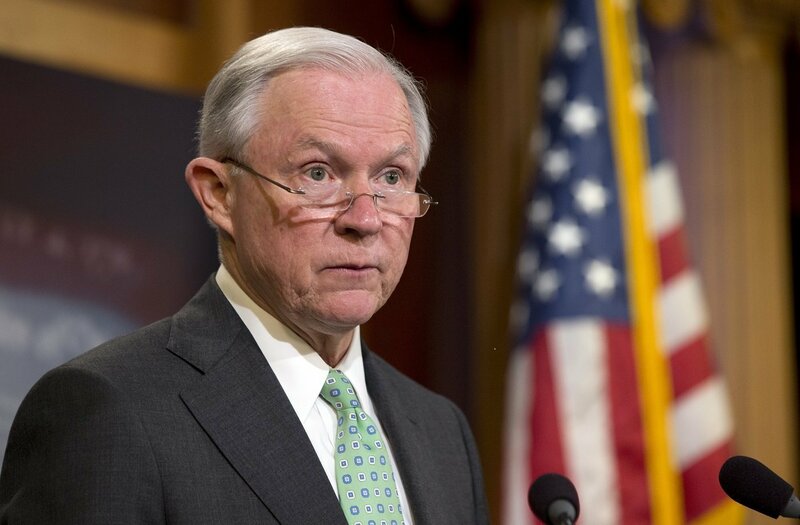 Did you offer to resign as attorney general? If so, why? If you’re watching today’s testimony, leave your thoughts in the comment section. While I do not think that Sessions had a direct hand in what is going on with this Russian investigation, I think that McCain’s questions hit the nail on the head . . . something happened and Trump was the beneficiary of it. When Reed read Sessions’ narrative about what a great job Comey did during the Hillary email investigation during the election and compared them with the memo Rosenstein wrote as a smoke screen . . . was very telling that Sessions was over his head in this whole fiasco. Also, Sessions kept citing this “law/regulation” that said he couldn’t answer questions, but when Harris asked him about the law/regulation he couldn’t explain it. Really? His entire testimony, or lack of, relied on a law/regulation he couldn’t explain. Also, also… how the hell is Sessions invoking Executive Privilege while claiming the President hasn’t invoked Executive Privilege??? The attorney general of the United States just admitted he has never asked for a briefing on Russia’s attack on our election. Yeah, see if you can understand this: If they can hack the election, voting doesn’t matter. Jesus. I disagree delacrat, the new battlefield is cyberwarfare and ignoring the fact that Russia demoralized our Nation in total anonymity is something we need to address. Russia is the aggressor and cannot be ignored. If there was collusion or knowledge by any American citizen that has to come to light but more importantly this aggressive action needs to be investigated and not thrown aside.